Happy New Year everybody. Let’s hope 2014 is better than 2013. I was wondering what to write for my first blog post of 2014 when my usual supplier turned up. Yes, you’ve guessed it – Owen Paterson Secretary of State for the Environment. Or is he in fact the Secretary of State against the Environment? 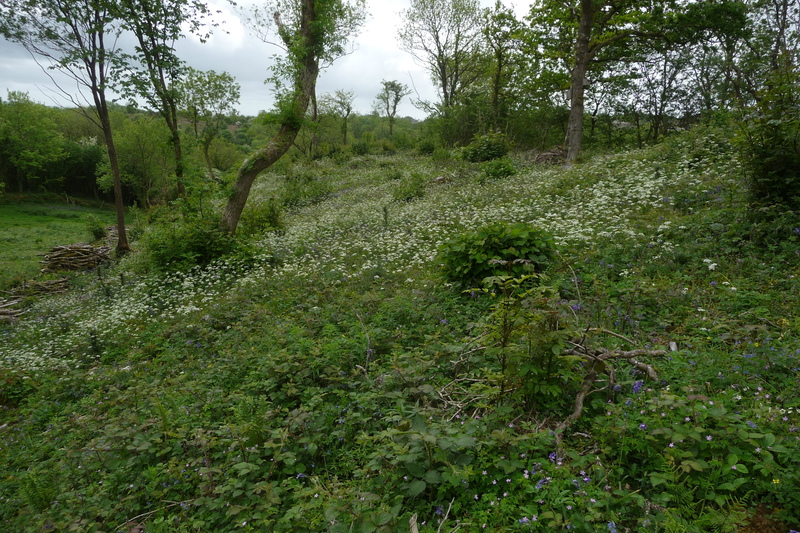 OPatz was quoted in the Times then other places as saying that planning authorities could allow developments which destroy Ancient Woodlands, because a thousand trees could be planted elsewhere for every tree that was lost in the ancient woodland. He went on to suggest that the biodiversity offsetting should take place “within an hour’s drive” of the place of destruction. Paterson returned to his favourite theme, arguing that Offsetting “deliver a better environment over the long term”, though accepted that the trees would only really be appreciated by subsequent generations. Commentators and NGOs have been up in arms at this latest Opatz pronouncement. The Woodland Trust is seething, not surprisingly as they use ancient woodland as a totem to justify their existence. They have some fantastic campaigners, but in truth most of their work is unrelated to ancient woodland conservation, and indeed much closer to Paterson’s tree planting panacea. From my perspective the Ancient Woodland issue is a red herring. The trees currently existing there are only a small part of an ancient woodland’s overall value. Trees grow and die – even a mature oak tree only lives a couple of hundred years at best. Managed as coppice or pollards individuals can live over a thousand years. A very few of our Ancient Woodlands may have direct linkages back to the Wildwood and we can trace woodland cover thousands of years back. But the other components of an ancient woodland are as valuable as the standing trees, or even more – the ground flora and epiphytes, the invertebrate communities, the fungi which pull everything together, the birds and mammals; the deadwood, the rides, glades and ponds that provide open areas upon which so many “woodland” species depend. Then there are the unploughed soils which tell us of environments past and the amazing wealth of archaeology within them – below, and above ground – the wood banks, holloways, saw pits and lost buildings. And the history of woodlands, as told in estate maps and deeds, and in oral history of communities struggling, flourishing, mourning and celebrating. Ancient Woodlands are in that sense not much different from other ancient habitats and landscapes – Downlands unploughed since the Black Death, ancient parklands and wood pastures such as the New Forest, formed in the 11th century, or ancient heathlands created in the Neolithic. Somehow ancient woodlands speak to us in a different way – perhaps this is some long forgotten cultural memory from our Saxon ancestors remembering the Great Teutonic Forests. This seems more likely to me than a connection back to Ancient Britons and their forests, though these links are undoubtedly far stronger in Wales and perhaps Scotland? None of this is of any interest to Owen Paterson of course – he is a utilitarian neoliberal, who is under the guidance of his brother-in-law the rational optimist Matt Ridley. Ridley is a passionate anti-environmentalist, disguised as a rationalist. He was also chair of Northern Rock bank when it collapsed, contributing to the global financial crisis. Presumably he still looks back on his role their with optimism, now he has entered the House of Lords. Ridley’s family made their fortune in Coal in the 19th century, so it is no great surprise that he is an arch climate change denialist. Ridley like Paterson both believe the environment is there to be improved, the plaything of an autocratic ruler, who believes himself to be benevolent, even though he is not. For me, the most enligthening aspect of this start to 2014, is that Defra is supposed to be considering the responses to the consultation on biodiversity offsetting that took place at the end of 2013. Paterson has clearly already made his mind up – or rather has decided to go ahead with the proposals presumably laid out for him by brother Matt. This entry was posted in Ancient Woodland, anti-environmental rhetoric, banking crisis, biodiversity offsetting, enlightenment, Matt Ridley, neoliberalism, Owen Paterson and tagged Ancient Woodland, biodiversity offsetting, Matt Ridley, Owen Paterson. Bookmark the permalink. Hi Miles. Totally agree with you that ‘ancient woodland’ relates to the entire ecosystem, not just the trees. But if you feel that ‘the ancient woodland issue is a Red herring’, what do you consider the real issue(s) to be? This post comes across to me as being quite sanguine about OP’s latest comments – but I’d be a little surprised if this was truly your view! Thanks Steve. The media get excited about the thought of ancient woodlands being destroyed, because it is an easy lazy way of labelling the environment and nature. Ancient Woodlands are now totemic in that they are regarded as the pinnacle of conservation value, when they are not. There are wonderful and valuable ancient woodlands, just as there are wonderful and valuable habitats of other types. Each has their own unique set of characteristics, but woodlands, especially ancient ones, always get the attention of the media. Look at the Forestry debacle of a few years ago; the media swallowed the story hook line and sinker. But it was always more complex than they knew or cared about. If I came across as sanguine, it is because I am probably suffering from Paterson crass comment fatigue. You must walk some really poor ancient woodlands to take that photo! You need to come up and stay with me – I have six ancient woodland sites (four in public ownership) in a circular walk from my backdoor, some of which are reference sites for the Woodland NVC! Swallowed what line? If you mean they were quicker than the NGOs to respond to the public’s outrage at losing a large area of publicly-owned, non-farmed, open access land, then they had the better interests of that public to heart, unlike the NGOs who only saw the issue in terms of their own, individual single issues, and what they might get out of the PFE if it was carved up. You also have to understand that the public don’t have the same fixation with the alleged ecological value of what constitutes “biodiversity” and were very tee-ed off with the crass, snobbish and self-interested dismissal of their local (plantation) woodland, especially by Mark Avery! I can see what you are doing with the disavowing of the significance of ancient woodland, and bigging up the culturally created landscapes, but I don’t see any of the latter habitats being labelled as “irreplaceable” in the consultation document on biodiversity offsetting, or in the National Planning Policy Framework. Come on Miles, the conservation industry is constantly blackguarding secondary woodland as being of “low value”, but is perfectly happy to fell that woodland in often futile attempts to recreate heathland and downland habitats. The missing ingredient is the latterday peasants beating the life out of the soil through various extractive uses so that the effects of that secondary woodland is reversed! Tells you something about woodland, doesnt it?!!! It was the Law Commission’s consultation on conservation covenants last March that first rang warning bells, the inclusion of NGOs in the categories of responsible holders of covenants, identifying them as bodies “sufficiently open to scrutiny” that their inclusion is warranted. Well, that assertion was immediately trashed when the document showed that the other two categories – public bodies and local authorities – were subject to FOI, but as many local people have learnt through bitter experience, NGOs aren’t! The next bombshell was that the Law Commission was not convinced that a statutory oversight element was necessary in England. They thought the public interest in the objectives for which conservation covenants may be made, would be protected by “trusted and regulated charities”!!!!! Well – a real issue for public debate there!!! Are you free to come up to the Institute in Leeds Uni. around early March for a day of deliberation? Happy New Year Mark. As usual your comments contain much to chew over, which I will do in the next few days. I would love to come up to Leeds in March to discuss this – I’ll be in touch via email.